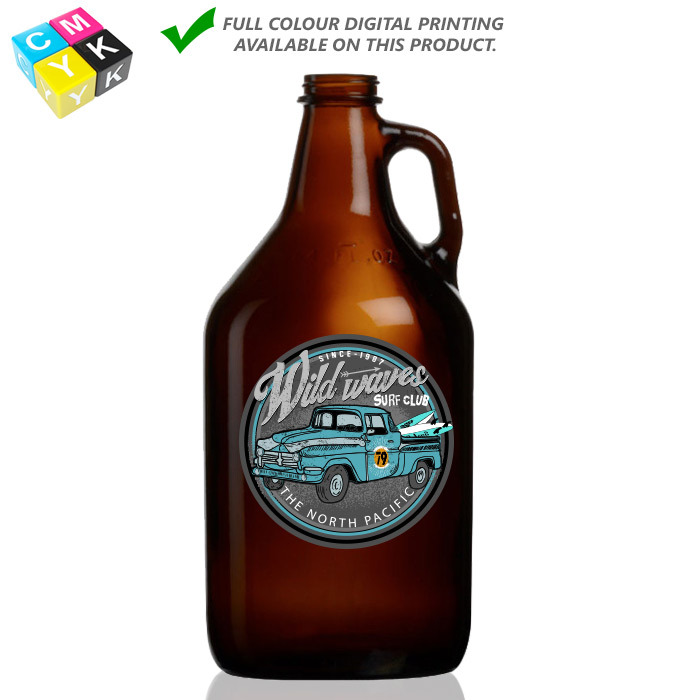 Amber Growler 64oz - Short Run Full Colour | Elcyda Decorating Inc.
Imprint Area: * Customer artwork can vary in size and shape. We will work with you to achieve the best results. * THIS PRODUCT IS FOR SHORT RUN FULL COLOUR PRINTING. PRICING IS FOR 4 COLOUR PROCESS. CUSTOMER IS TO PROVIDE ARTWORK. VECTOR DESIGN ON GLASS IS FOR DEMO PURPOSES ONLY. In business for over 50 years! © 2019 Elcyda Decorating inc. All rights reserved.